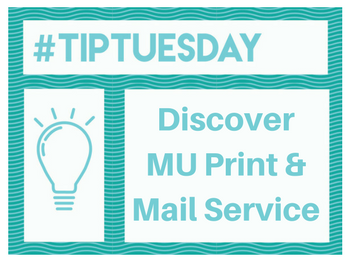 MU Print and Mail Center (Digiprint) is the full photocopy service in Ellis Library. You can print your resume on special paper, create full-color copies, fax documents, and more! You can pay with cash, check, debit/credit card, or charge with your student ID. Bonus Tip: Check out the book sale. You might find some hidden gems at a huge discount price!